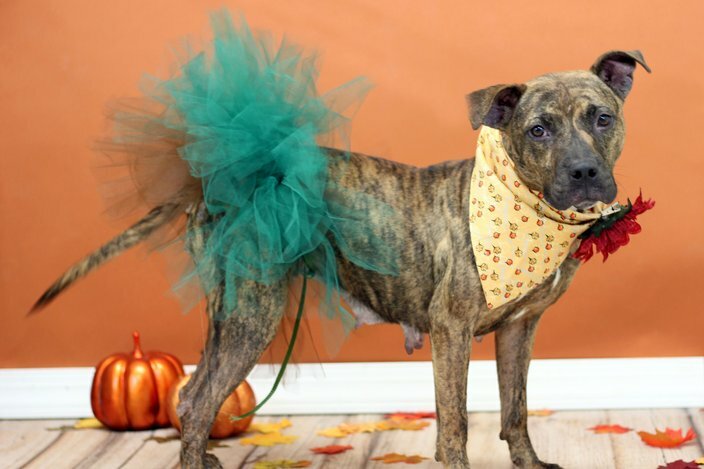 Britnee needs a furever home. Are you looking for a great hiking or running partner to share your adventures with? Then Britnee is your gal! 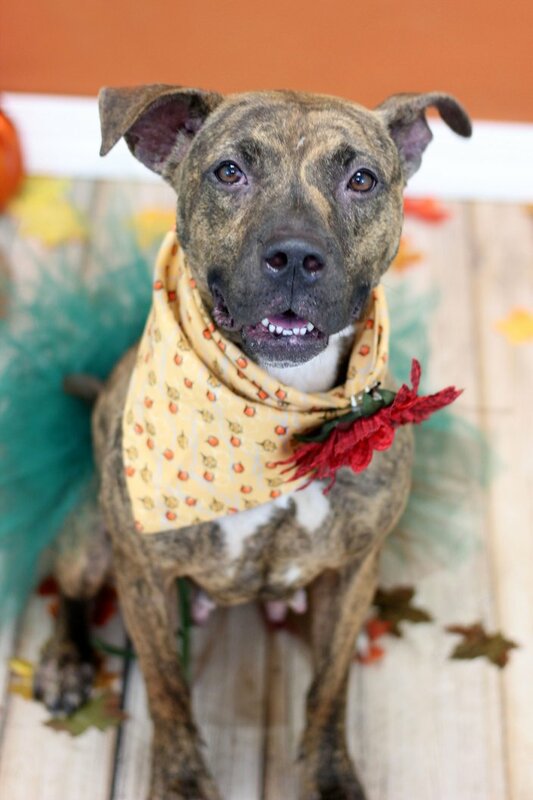 Britnee is a spunky, 3-5-year-old, petite lady with beautiful brown eyes, a lovely brindle coat, and a super wiggly body. She’s been learning new things with clicker training and we’ve found that she is a very quick learner. Especially if you have cheese. She loves cheese! Britnee has already mastered the art of “sit” and “touch” and she’s working on building her skills. She would love to show off what she has learned to potential adopters. When given the choice between playing with toys or cuddling with her volunteer friends, she chooses cuddling every time. She is definitely a fan of being close to her friends and she loves meeting new people. She also loves to snuggle up in blankets to get nice and comfy before falling asleep. Britnee was recently returned after being adopted out with her buddy Skipp and is understandably sad to be left behind without her friend. Please bring any resident dogs to meet her to make sure they get along. She would probably do best in a home with no small dogs or cats as she seems very interested in both and may be a little too much for them. Britnee is ready to leave her past behind and move on to her next journey. She’s all set to go on another adventure with you whether it’s a walk, run, hike or movie night all curled up on your couch. Come meet your new companion today. Britnee, dressed to the nines. 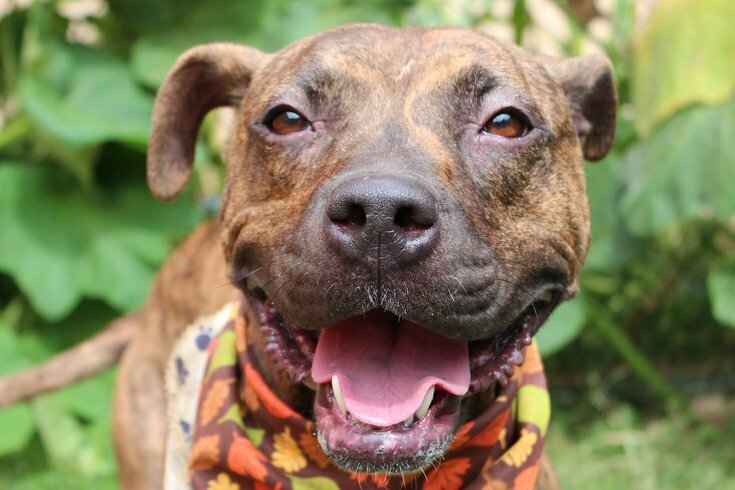 ACCT Philly strives to make adopting a pet an enjoyable, stress-free process. We ask that you bring a photo ID, proof of address and, if adopting a dog, any children or resident dogs who will be living with your new family member. After filling out a short adoption application, ACCT adoption counselors will help match you with the perfect pet. All animals are spayed or neutered, up-to-date on age-appropriate vaccinations and have been examined by a veterinarian. Adoption fees and specials vary month to month and can be found on the ACCT website along with adoption locations and hours.